Yes...I'd like to see that as well. I'm a buyer if pricing is reasonable. One of the great things about DS Vettes is that they're happy to do whatever you want regarding colors. They can definitely do what you're asking. These will also be offered in Alcantara. Yes, they can be made up in any color combination. Andrew, I'm sure you did that for Breast Cancer Awareness month, right? Besides, the one thing I REALLY want for my C7 is a flat-bottomed steering wheel. I'll be calling you shortly after my Stingray arrives! I WOULD LOVE TO SEE A CARBON FIBER STEERING WHEEL DEVELOPED TOO! Last edited by Steven Bell; 10-05-2013 at 02:58 PM. I'd like to see it in red with a price as well. 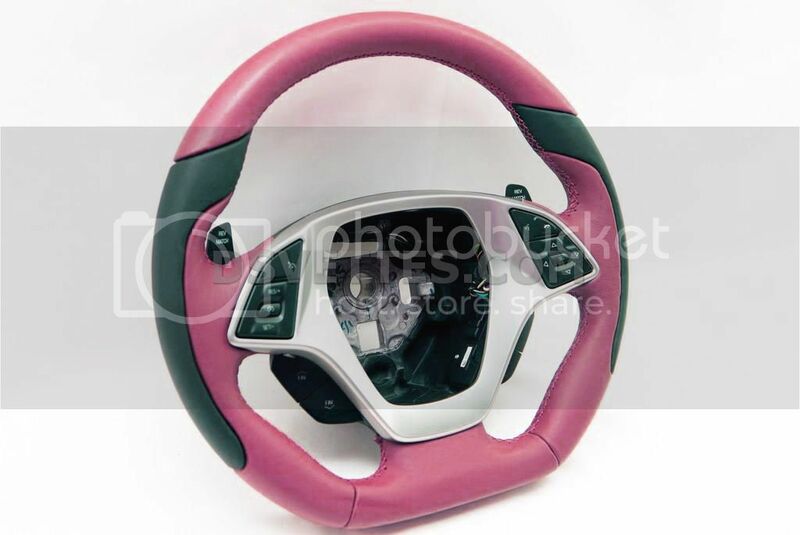 For those that have done it, how hard is it to change the steering wheel? on the C7 doesn't look complicated, probably similar to that of the C6. I thought about removing mine earlier but got busy doing other stuff. Still not good enough, make it more upscale. It looks a bit cheap to me. Most that are willing to upgrade a steering wheel will pay more $ for an even better product. 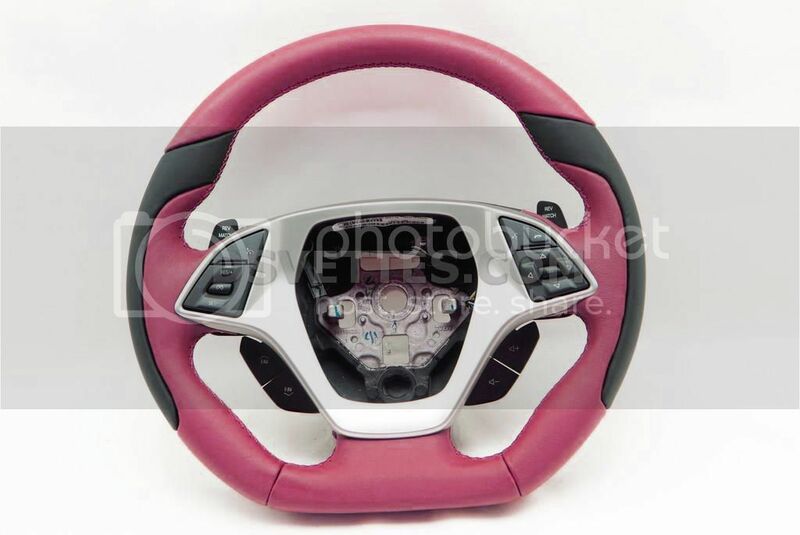 Give me a high end, premium steering wheel and I (and many others) will pay for it. You might want to see them in person. I had one in my c6 and it was amazing! They also make different levels of wheels. I had a D- Premium with Carbon fiber top and bottom and I don't think I've ever seen one in any car that could compare. DS, I pick up my C7 on Tuesday or Wednesday next week. Let me know if you need someone for a test fit!